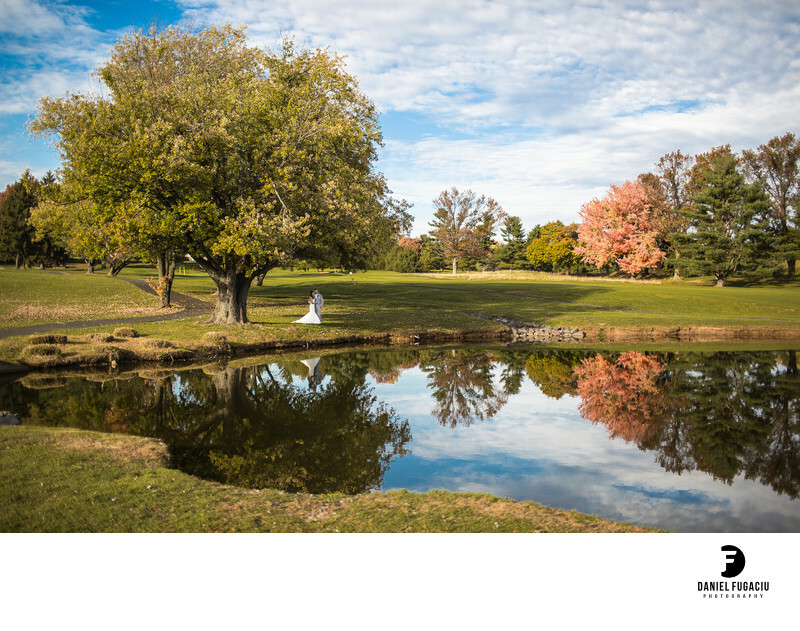 Northampton Country Club wedding photographer. Sweeping landscape portrait of the bride and groom. Location: 299 Newtown-Richboro rd Richboro Pa 18954.